Enter for a chance to win a £100,000 Home and Garden Renovation! This summer we are giving you a chance to win a Home and Garden Renovation to the value of £100,000! 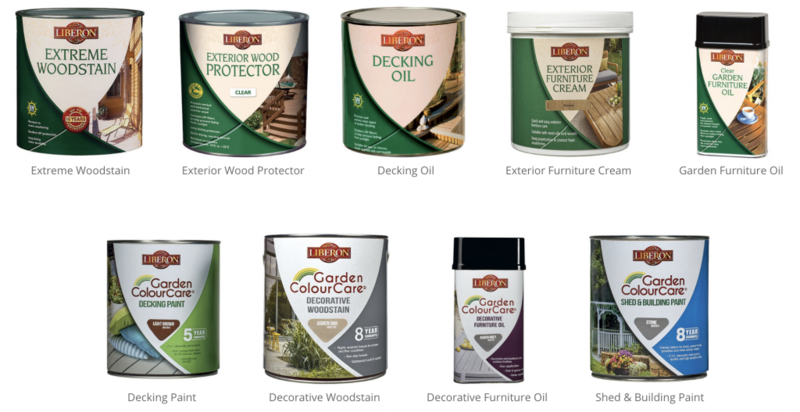 The competition will run throughout Summer for products purchased from Liberon’s exterior woodcare collection, including the Garden ColourCare range of decorative garden paints and woodstains. Running from 16th of April until the end of August 2018, the competition could see one lucky entrant win £100,000 worth of home and garden improvements, whilst another 10 lucky people will each receive a Liberon product voucher to the value of £100. To have a chance to win, purchase a qualifying product from the Liberon range of exterior woodcare and visit www.winwithliberon.co.uk to enter. All entrants will also be entered into a free prize draw to win one of 10 prizes of £100 in Liberon product vouchers. Now is the perfect opportunity to bring your garden and exterior woodwork back to life with Liberon and win! For your chance to win, purchase a qualifying product from Liberon’s extensive range of exterior woodcare products. Visit www.winwithliberon.co.uk and rank 10 statements from most to least important. If your choice matches that of the judging panel you win. See full terms and conditions online. Closing date 31 st August 2018. One entry per person. Open to UK residents aged 18 plus. Till receipt required. All entrants will be entered into a Free Prize Draw to win one of 1 of 10 £100 Liberon product vouchers.